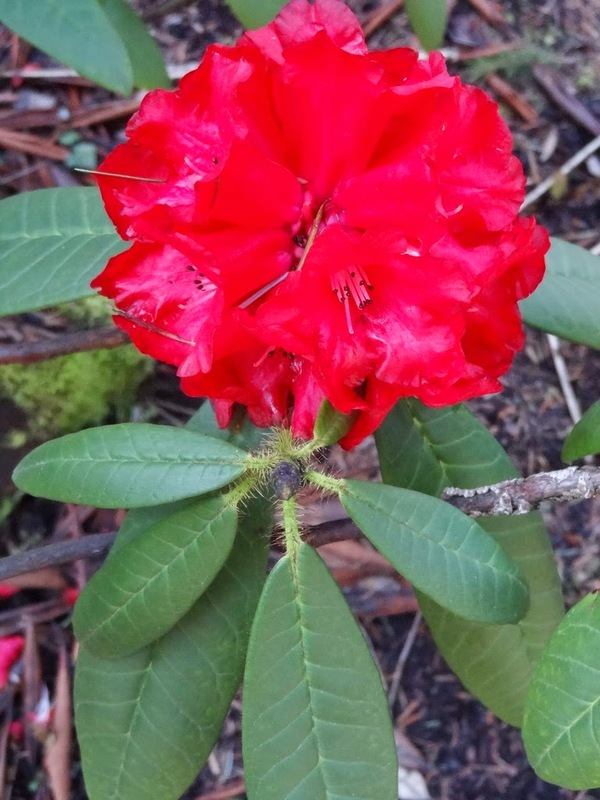 A week ago I undertook my annual spring visit to the Rhododendron Species Garden, located just south of Seattle, Washington. I am a member of the garden, I think at the corporate level, so I can get in free (or so it seems) as many times per year that I want. I have been visiting this wonderful place for about twenty years, but each trip is unique in its own way, and I never tire from wandering around. There is always a surprise in store, and usually very many when I discover trees and shrubs that I have walked past previously without notice. I have even fantasized about abandoning my family and my business and moving up north, closer to the garden...and then walking it daily to experience its rhythm, its flow. But first! Before entering the Species Garden, I always take a leisurely walkabout at the Pacific Rim Bonsai Exhibit housed next door at the entrance. 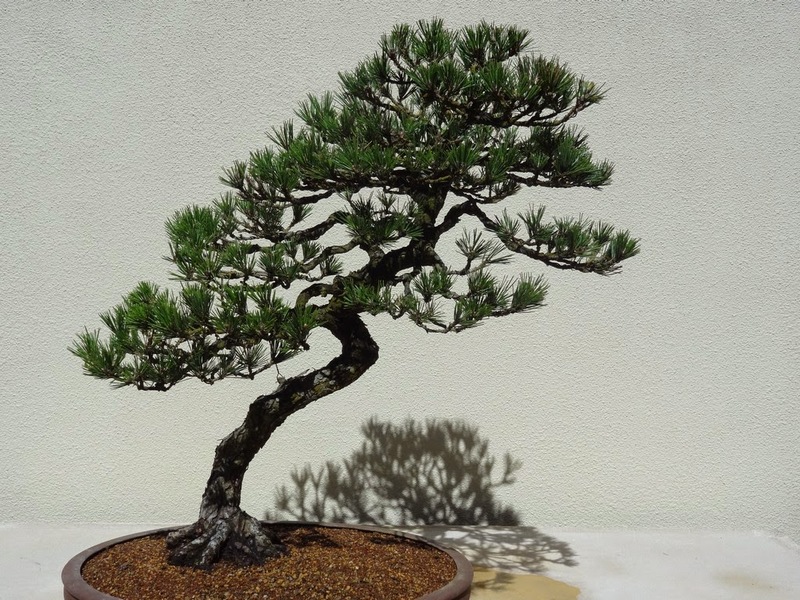 My experience with bonsai ( and please pronounce it as bone-sigh) is limited, but this particular collection is the best that I have ever seen, and I have gotten to know many of the pieces well, and actually some rather intimately I would say. Just as with the Species Garden, every subject changes, however slightly, with the particular light of the day or the season. I have long been impressed with the pine photographed above, but not on such an intense level before today. Today it had movement, it had magical mojo, and I was so delighted to watch it dance in the April sunlight. I feel fortunate that I can skip work, drive 200 miles north and experience one of the world's greatest botanical collections – ever. I remember vividly my visit to Wisley Garden in southern England about ten years ago. It was in October and I walked amongst the Sorbus collection enjoying their beautiful fruits, and on some species their huge leaves. 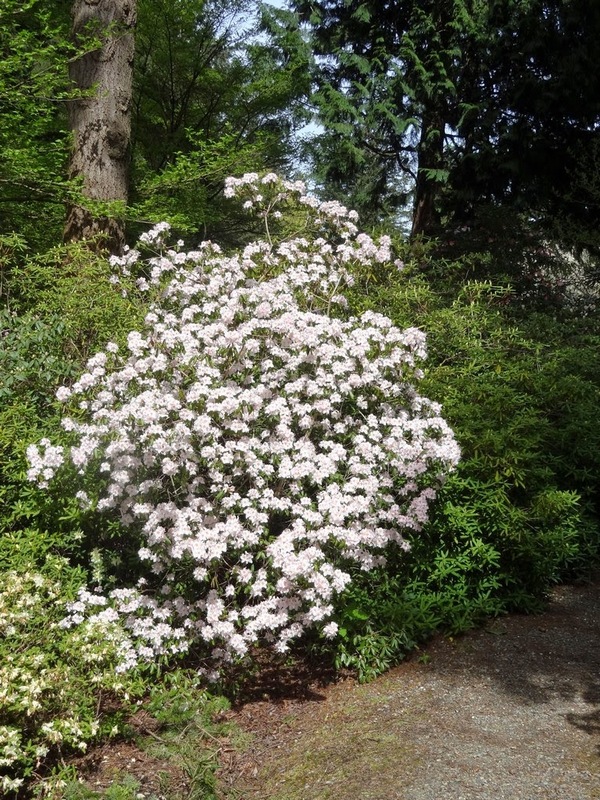 That was probably the last time that I saw Sorbus sargentiana until this visit to the Rhododendron Species Garden. 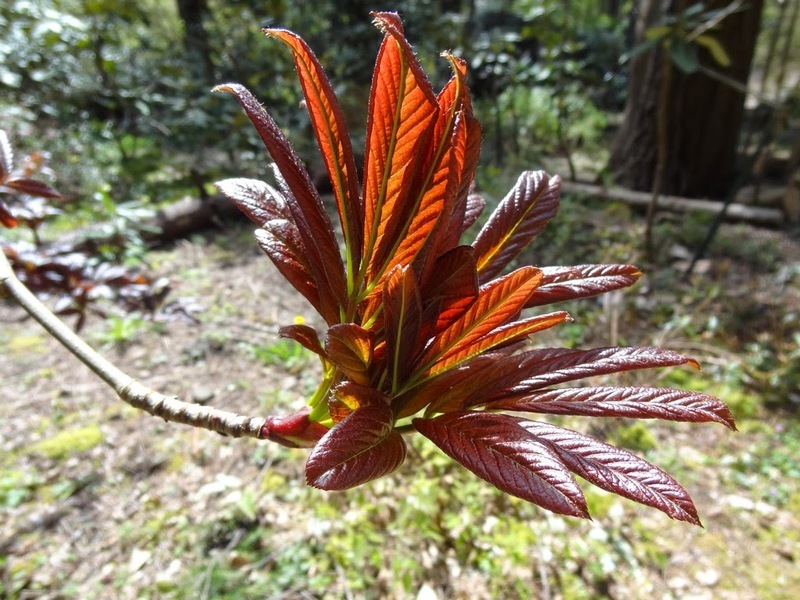 I caught sight of a gangly tree with luscious reddish-brown foliage emerging, and from a distance I didn't know what genus it was, and even upon close inspection I still remained clueless. 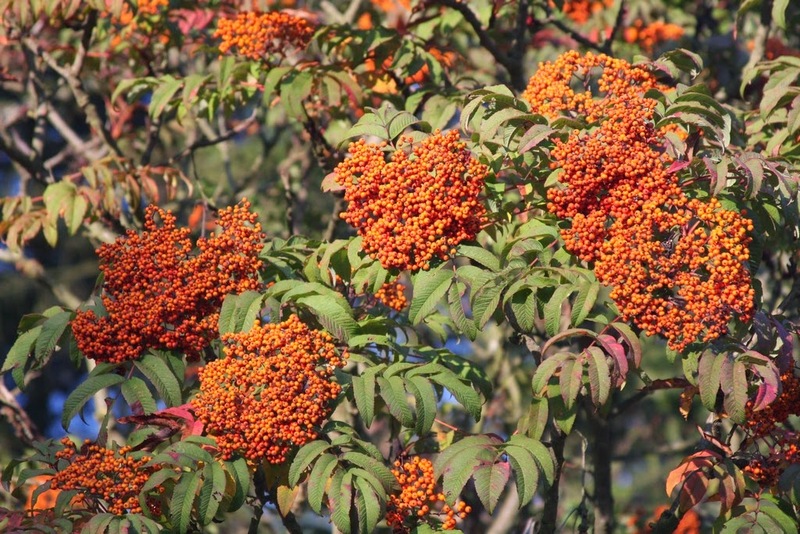 But it was a Sorbus sargentiana, as the label said, and I would now certainly buy one if I could find it offered. 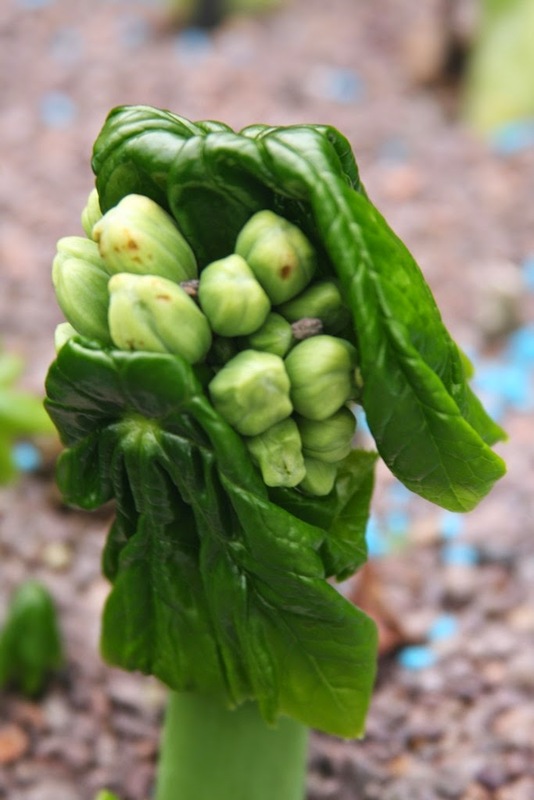 As I know little about the genus, I was very impressed to see sargentiana's new growth. The first thing I did upon returning home was to consult my bible, the Hillier's Manual of Trees and Shrubs. It mentions that the leaf stalks are red, but not the new leaves. 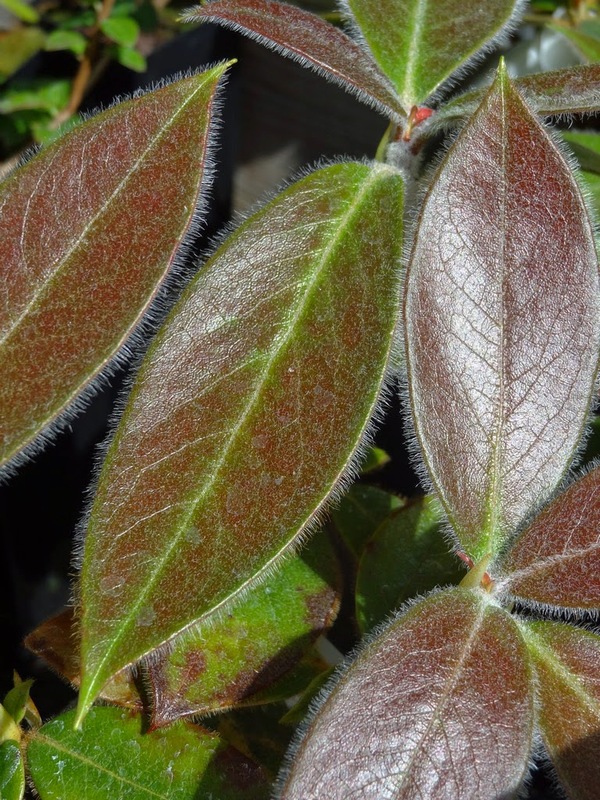 Krussmann in Cultivated Broad-Leaves Trees and Shrubs doesn't mention the new-leaf color either, although he says that the old selection 'Warleyensis' has a "rachis dark red." 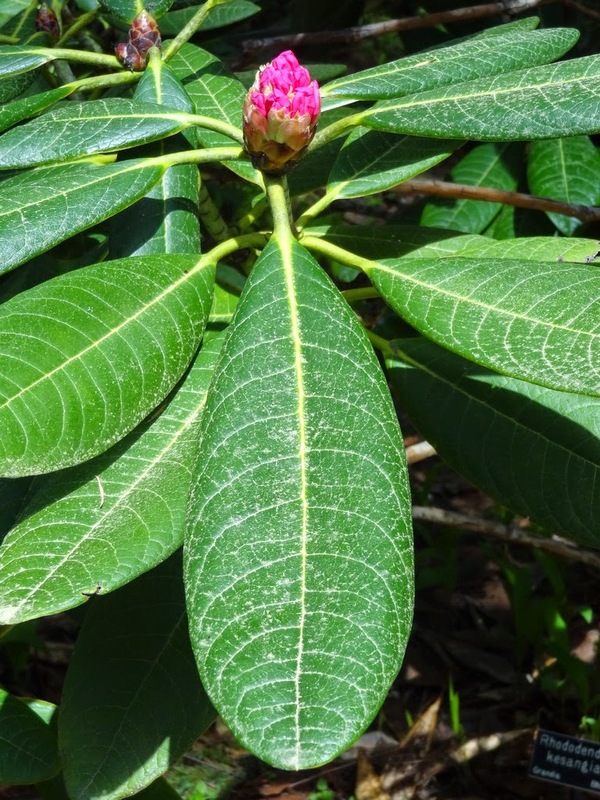 I never studied botany – well, not formally anyway – so I had to look up what tree part is a rachis. And the meaning is: a stem on a plant that bears flower stalks. The word is derived from Greek rhakhis for "spine." 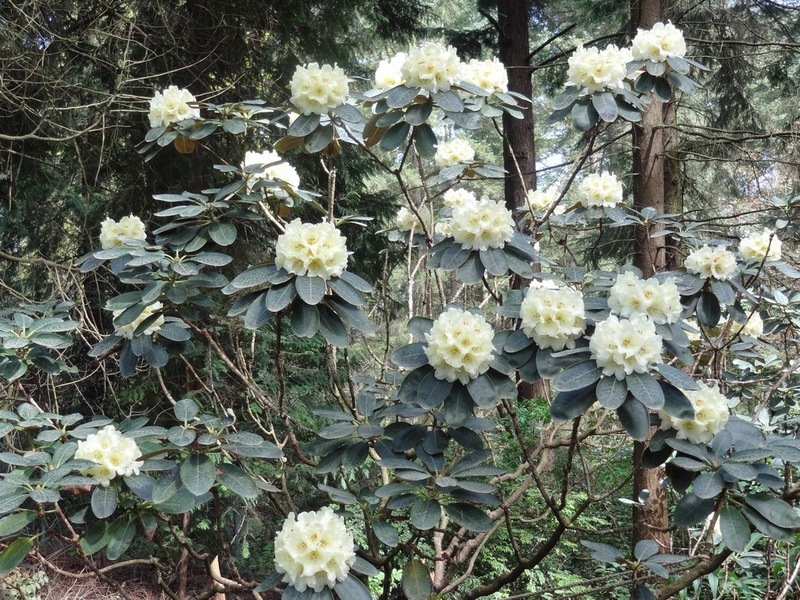 And by the way, if the Species Garden contained no Rhododendrons at all, it would still be an excellent plant collection with its Sorbus sargentiana and other wonderful trees. I'll return in the fall, and if no one is watching I might pocket some sargentiana fruits. 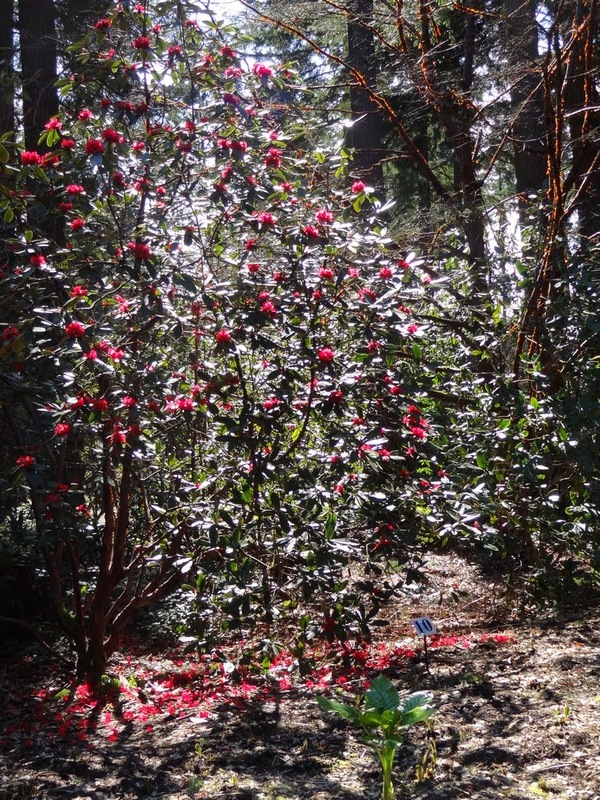 Some other non-Rhododendrons impressed me on my April visit, two Magnolia specimens in particular, Magnolia denudata 'Forrest's Pink' and Magnolia sargentiana var. robusta. 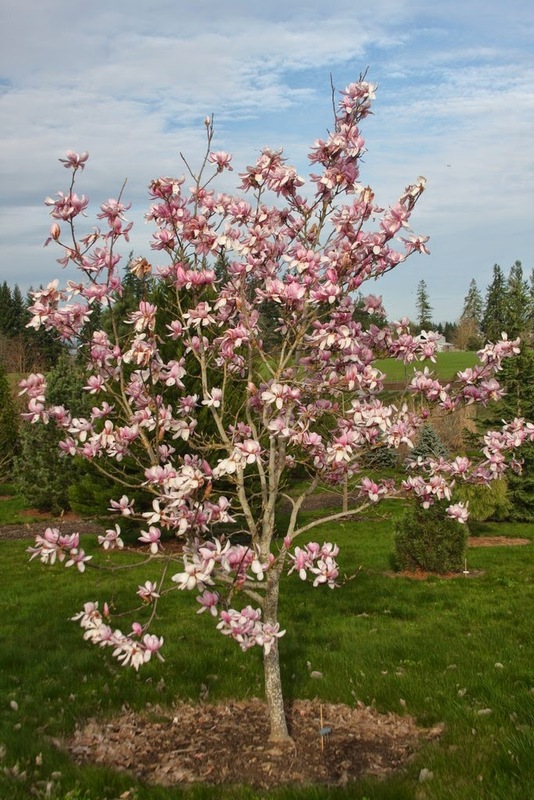 Magnolia denudata is a Chinese species, hardy to USDA zone 5, or minus 20 degrees F, and can bloom white to clear pink. Obviously 'Forrest's Pink' blooms the latter, and presumably it was from a George Forrest seedling collection raised in the 1920's at the Caerhay's estate in southwestern England. 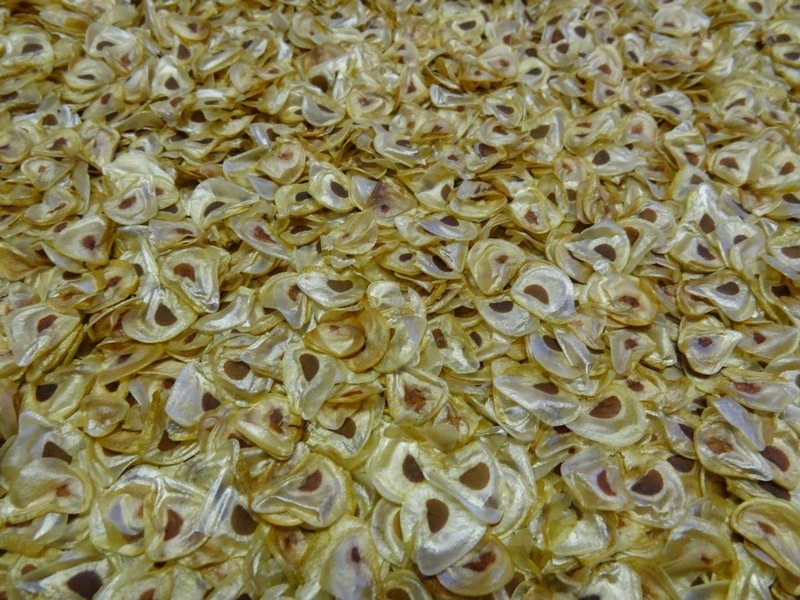 In China, the species is called the Yulan, or "Lily Tree," and Buddhist monks have been cultivating it for centuries. Yulan is derived from Chinese yu for "gem" and lan for "plant," but as a Chinese female baby name, it means "jade orchid." 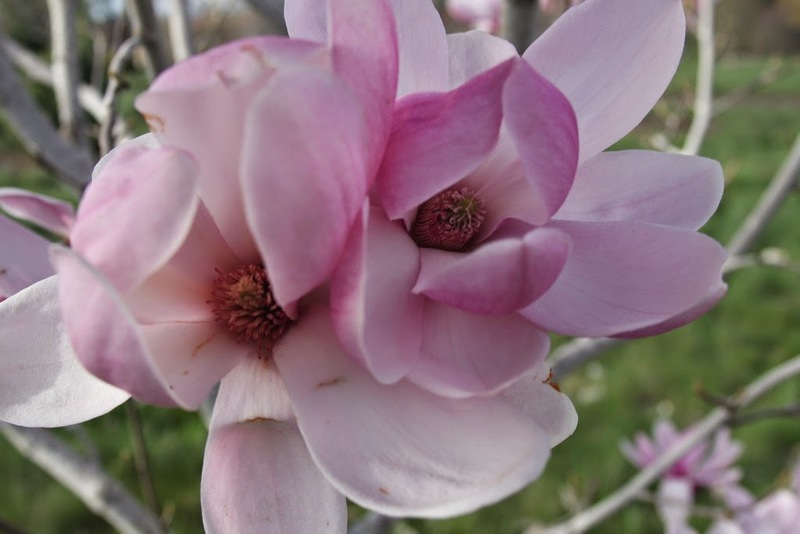 According to Jim Gardiner in Magnolias A Gardener's Guide, "the tepals of Magnolia denudata are considered to be a delicacy. Dipped in flour and fried in oil until they are crisp, they have a slightly sweet taste." I don't know where Mr. G. got that delicious information, but tonight I will – rather, my wife will – toss some tepals into the frying pan, and if we survive I will post a report. I have to admit that I don't really get tepals, sepals and petals, and what is the appropriate term for these flower parts, and that's why pulp writers such as myself use the terms blossoms and flowers instead. Tepal is from French tepale, an alteration of petale for "petal," and was coined by Augustin-Pierre de Candolle, a Swiss botanist. Blossom is derived from Old English blostm, which is of Germanic origin. 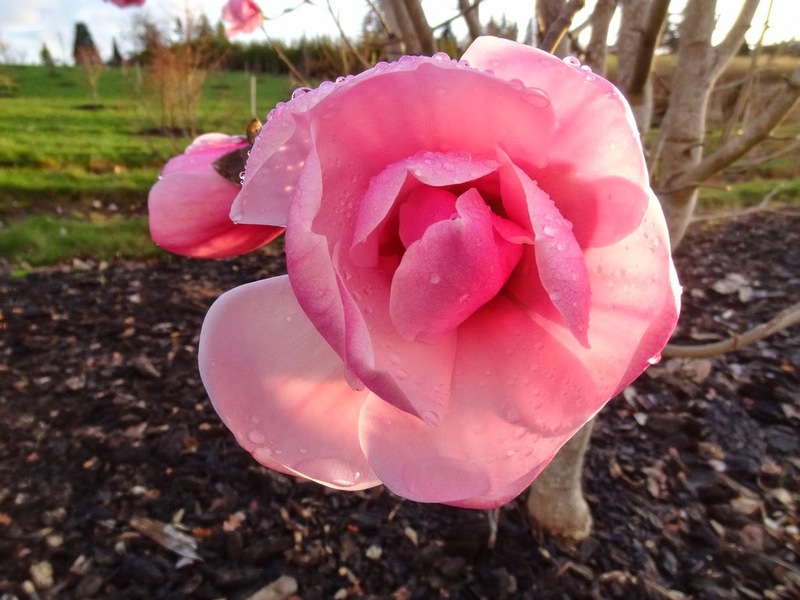 *We recently sold plants to the Howard Phipps Estate. Phipps's father was a partner in the Andrew Carnegie Steel Company, and accumulated wealth beyond belief. 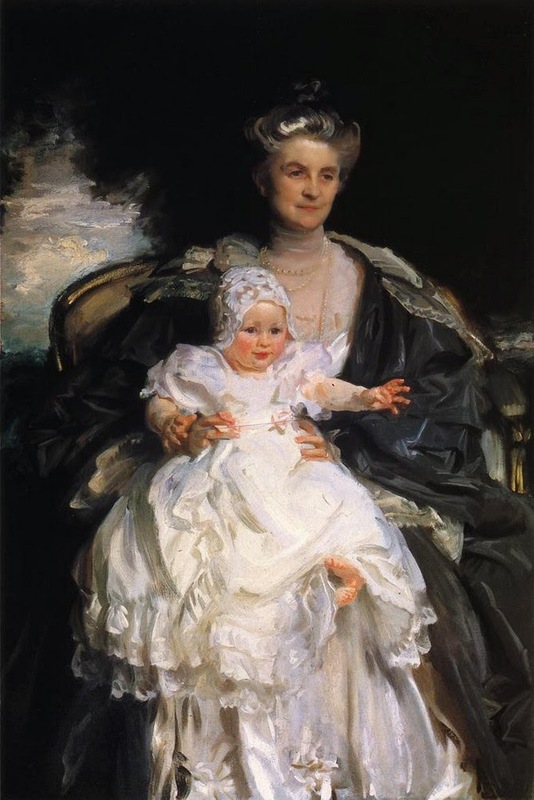 A famous portrait by Singer Sargent is Mrs. Henry Phipps and Her Grandson Winston, painted oil on canvas in 1907. 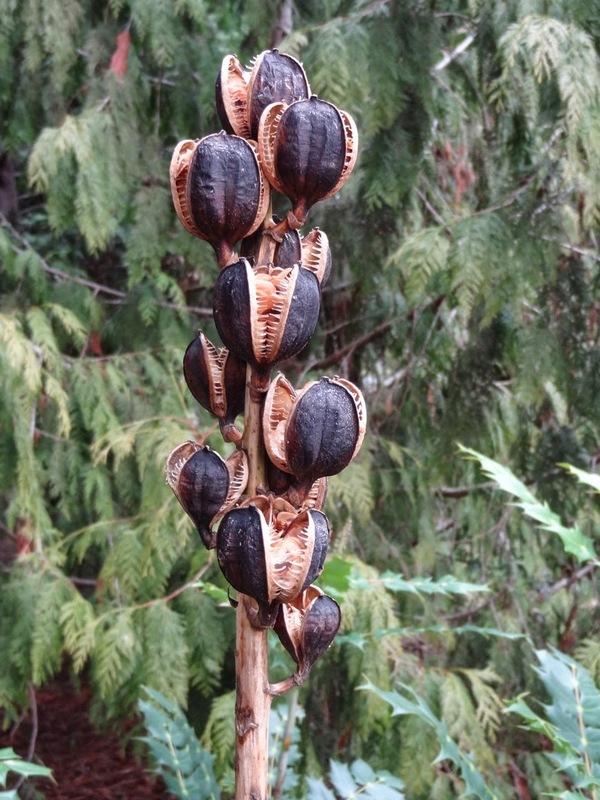 Last year's seed-heads of Cardiocrinum giganteum persisted through the winter, eight or nine feet up in the air. We have one in our bathroom as well, and it's probably five years old. 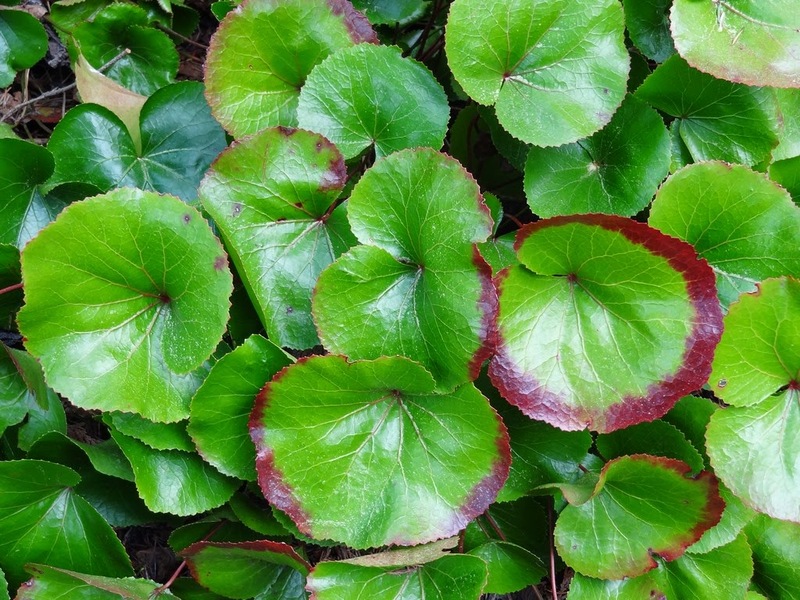 The luscious glossy heart-shaped leaves were emerging, and they look like they'd make a great salad. 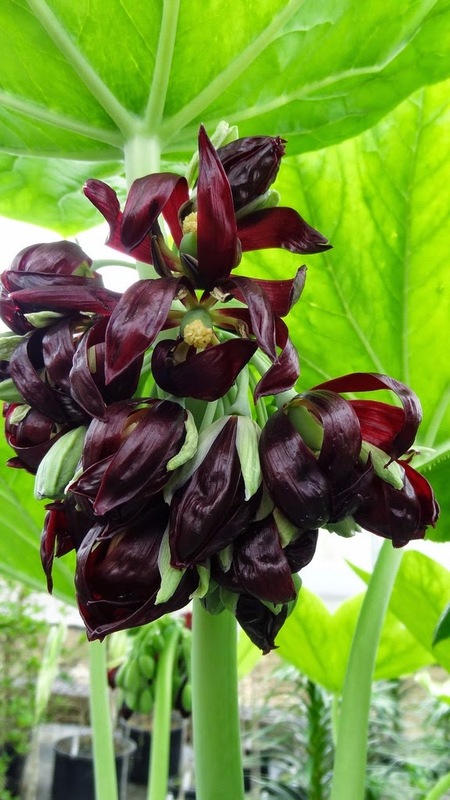 The name Cardiocrinum consists of Greek kardia for "heart," and krinon for "lily." Sometimes up to twenty large lily blossoms appear on an eight-to-twelve foot stem. The plants are monocarpic* -- which means that they die after blooming, but many offsets are produced. Scented flowers are normally cream-white with a maroon blotch in the throat. 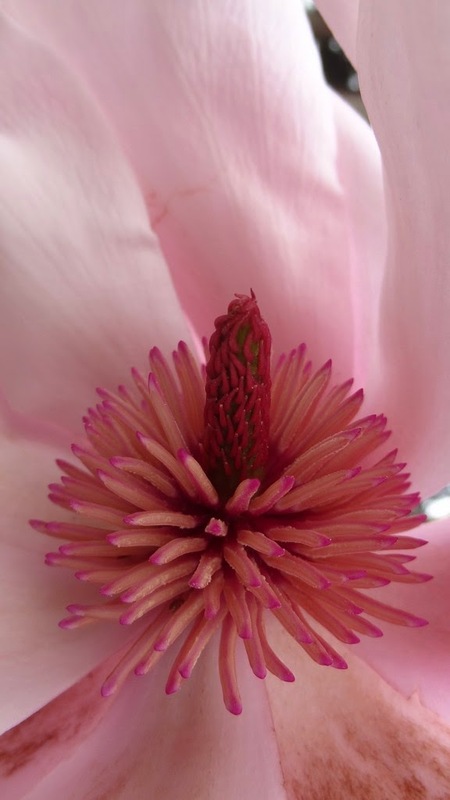 We are excited to have a pink-blossom form, or we hope that it will be pink. It was raised from a parent pink by Far Reaches Farm (Sue & Kelly) in Washington state, a couple who do reach far...into the wilds of Asia. Google them, and buy something for heaven sakes, but finish this blog first. 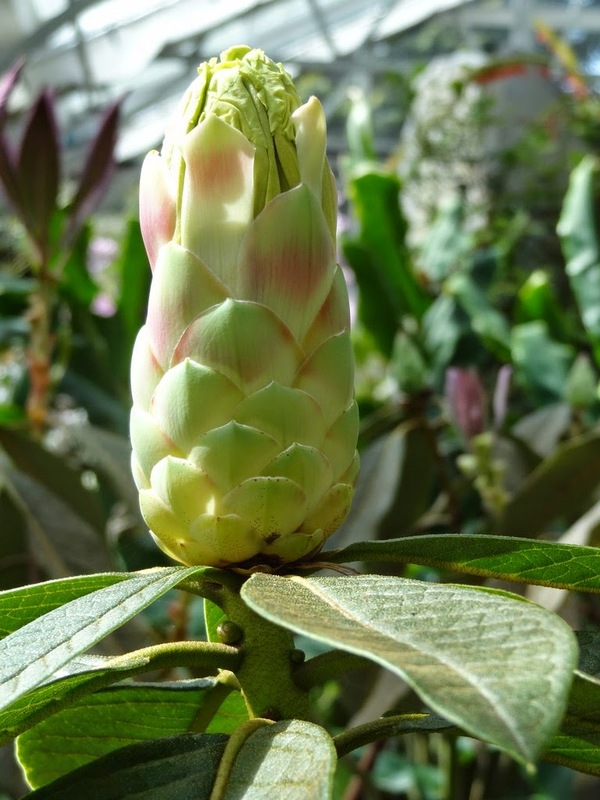 There is no guarantee that my plant will flower pink – it might be a normal white; but as Kelly cheekily retorted to a dubious customer, "It might also flower red." *Mono is from Greek monos for 'alone'; and carpa is from neo-Latin carpium, and that from Greek karpion, a derivation of karpos for "fruit." I stumbled onto an attractive groundcover that I couldn't remember seeing before: Galax aphylla, sometimes specifically named G. urceolata. 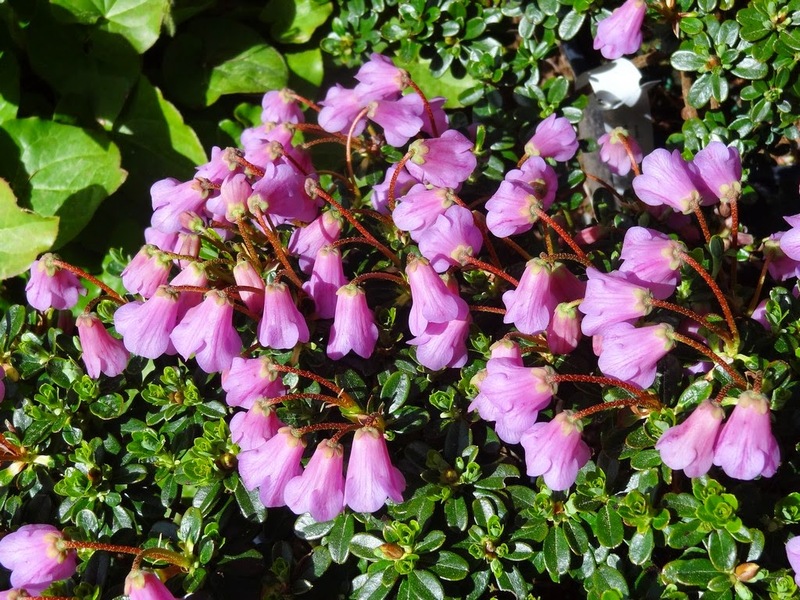 This southeast USA woodland plant contains a single species, and is commonly known as "Beetleweed." I wonder if the genus name is in reference to the Greek words galakticos for "galaxy," and galaxias for "milky circle." 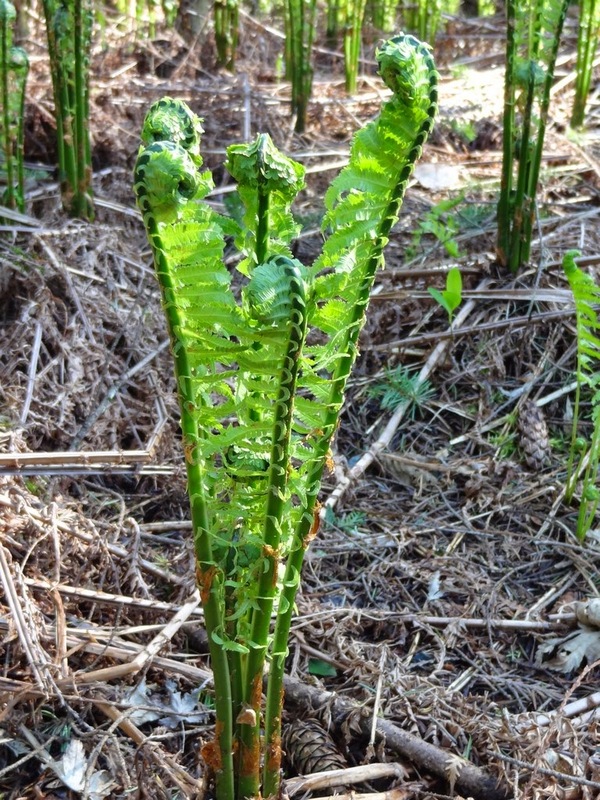 An impressive patch of a fresh green fern was in motion with the breeze, and dazzled me with the sun as back-light. Matteuccia struthiopteris is quite a mouthful, and certainly beyond me and most gardeners to remember. 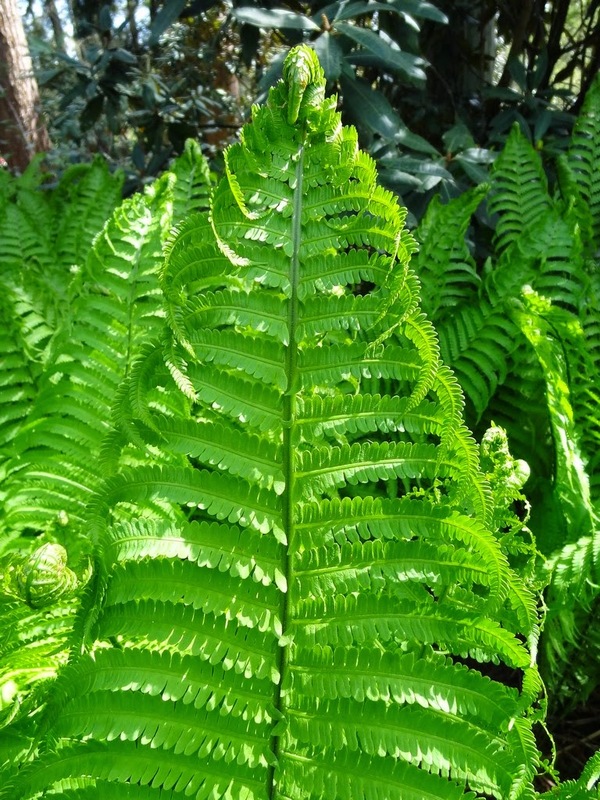 Fortunately it is commonly known as the "Ostrich Fern,"* and it is native to the northern hemisphere around the world. The "fiddles" are edible, and I've eaten a tasty soup in eastern Asia. In Japan the sprouts are known as kogomi. 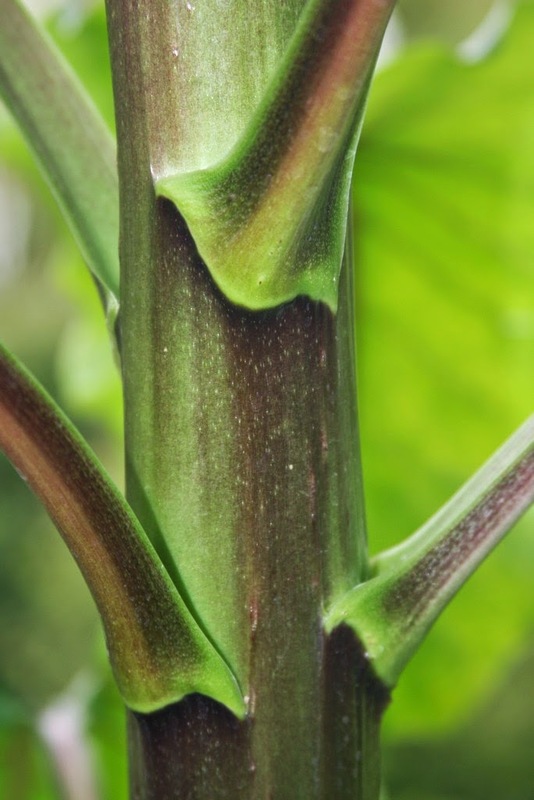 *The species name struthiopteris is from Greek struthio meaning "ostrich" and pterion meaning "wing" or "fern." 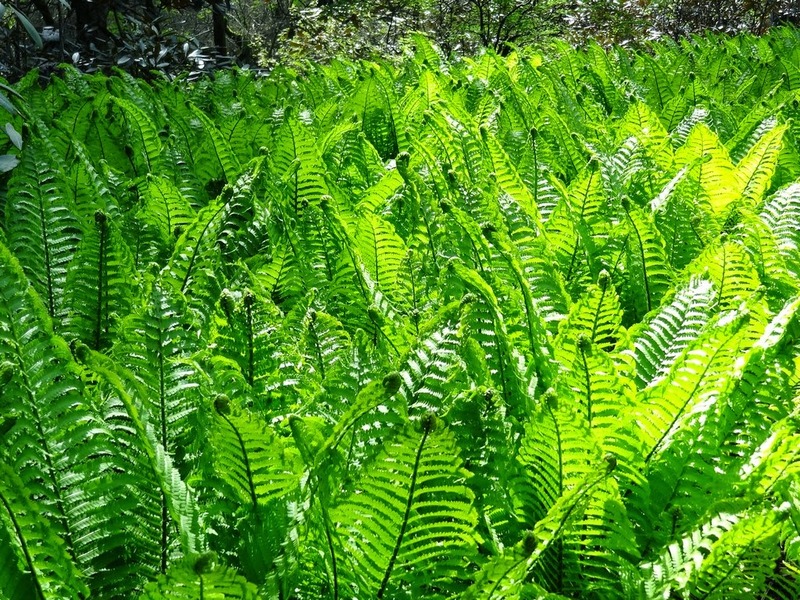 Although the Species Garden's label spells the genus name Metteuccia, Sue Olsen in Garden Ferns reveals that it should be Matteuccia, the name of Carlo Matteuccia, an Italian physicist. 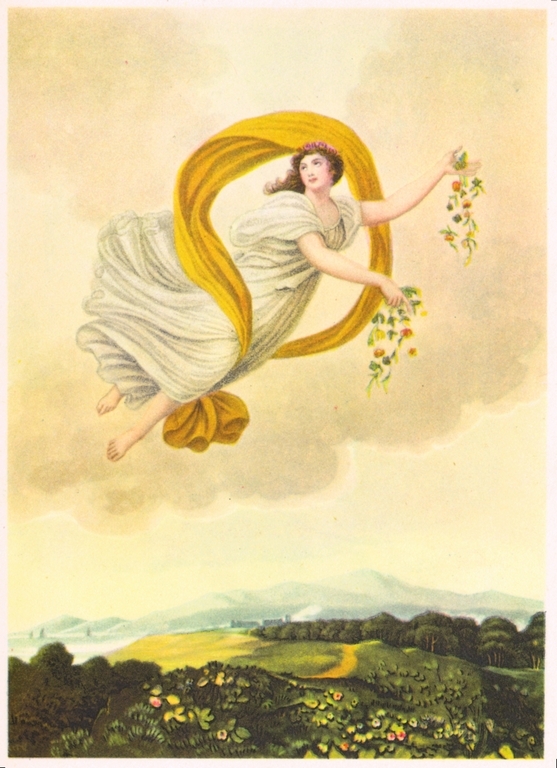 The "mayapples" had broken ground with their lush glossy-green leaves. 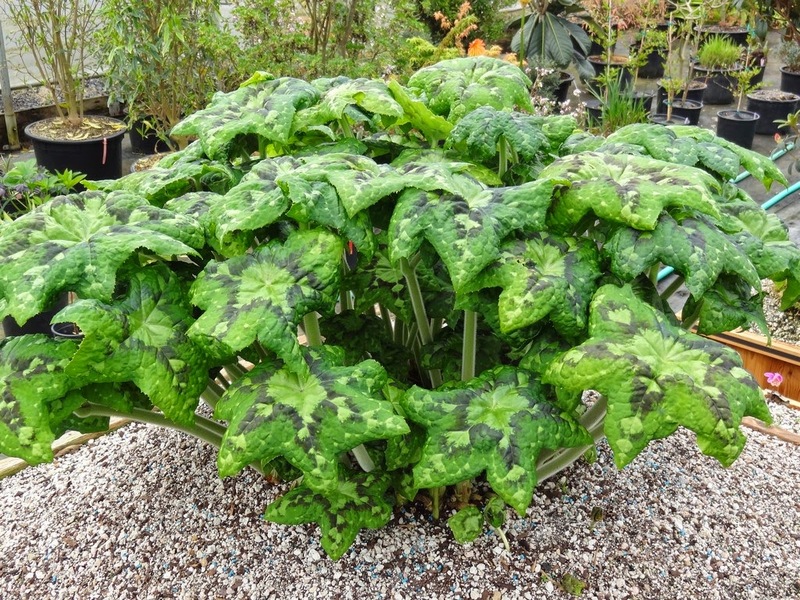 Podophyllum pleianthum is native to central and southeastern China, but some vigorous colonies are also sprouting in some Pacific Northwest gardens. 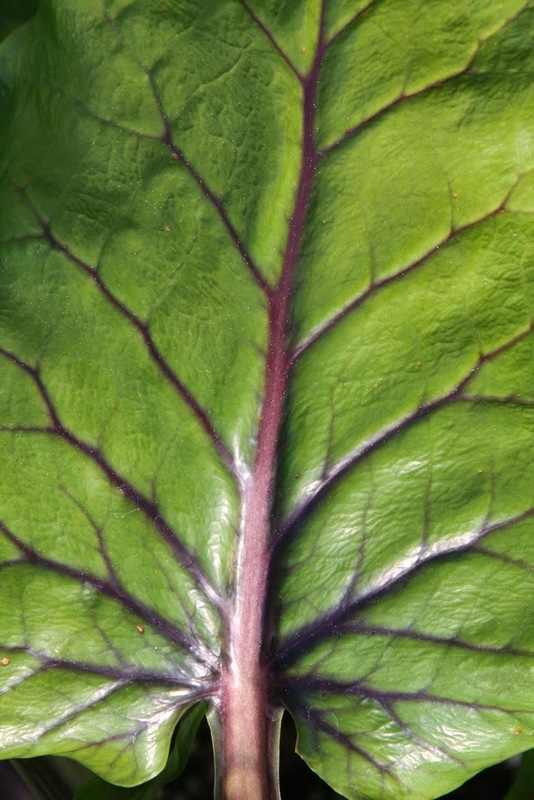 When fully open the leaves can measure a foot wide with a slight center depression, prompting at least one acquaintance to term them "tractor seats." Drooping flowers are bright maroon-red, and then develop into filbert-size green balls, but a lot of this activity takes place underneath the leaves. We have collected a variegated form called 'Kaleidoscope', which may be the pleianthum species, or possibly it is a hybrid. 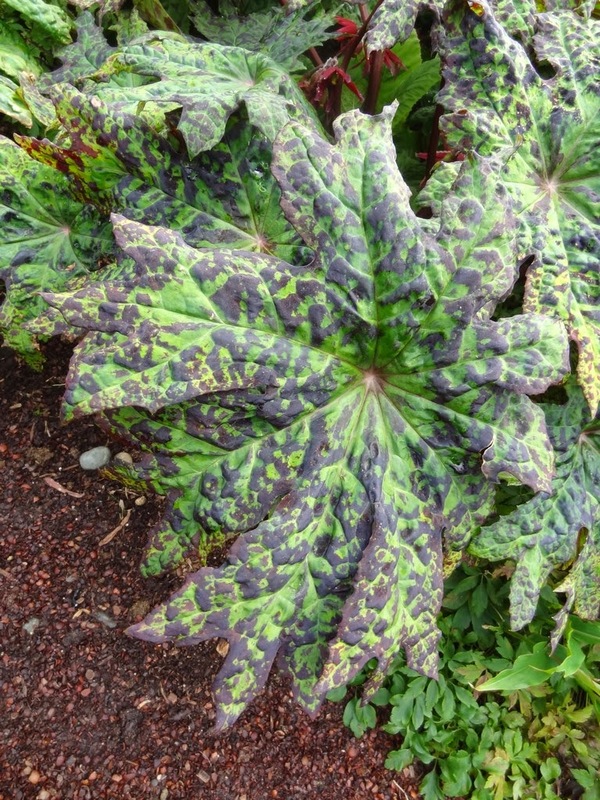 Also new on the gardening scene (Far Reaches, again) is 'Red Panda' and some wild-looking P. delavayi hybrids. 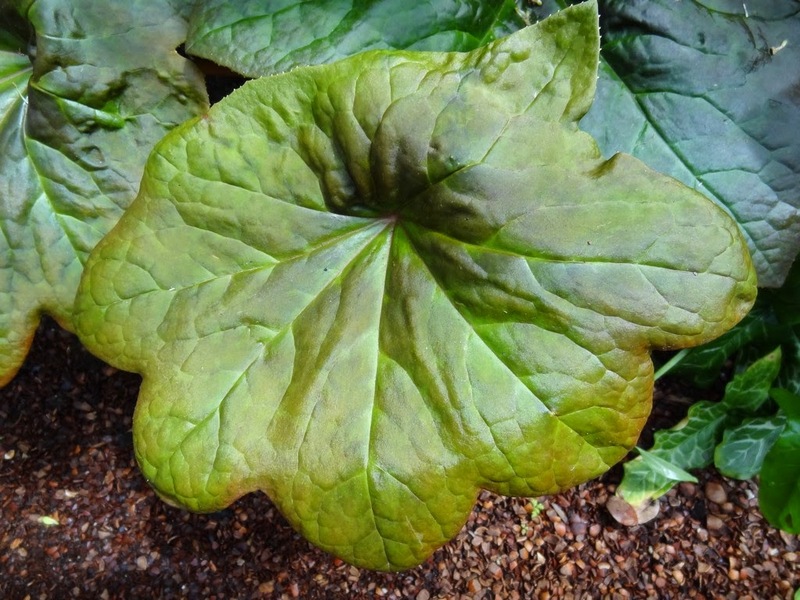 The genus name Podophyllum is derived from Greek podo for "foot," and means "foot-leaf like a shield," and somewhat resembles a duck's foot. 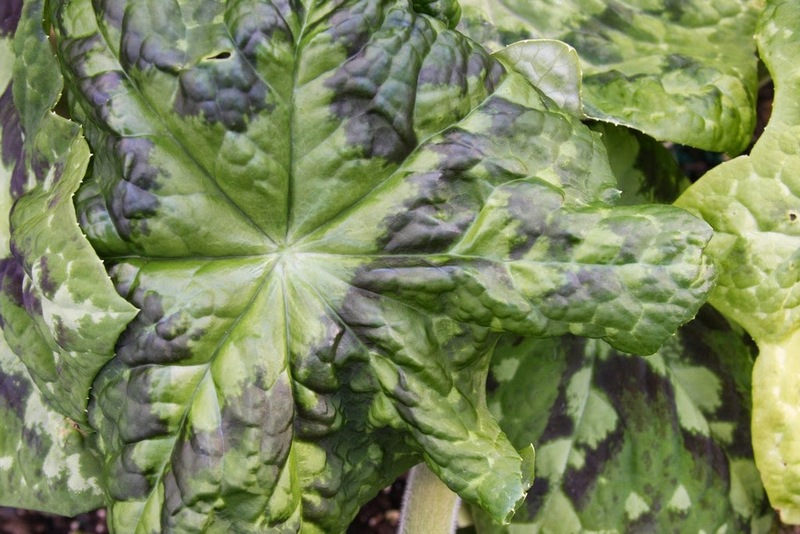 For those who like to grub in the wild, you can make a mayapple jam or a mayapple punch, but you had better know what you are doing, as the seeds are said to be toxic. 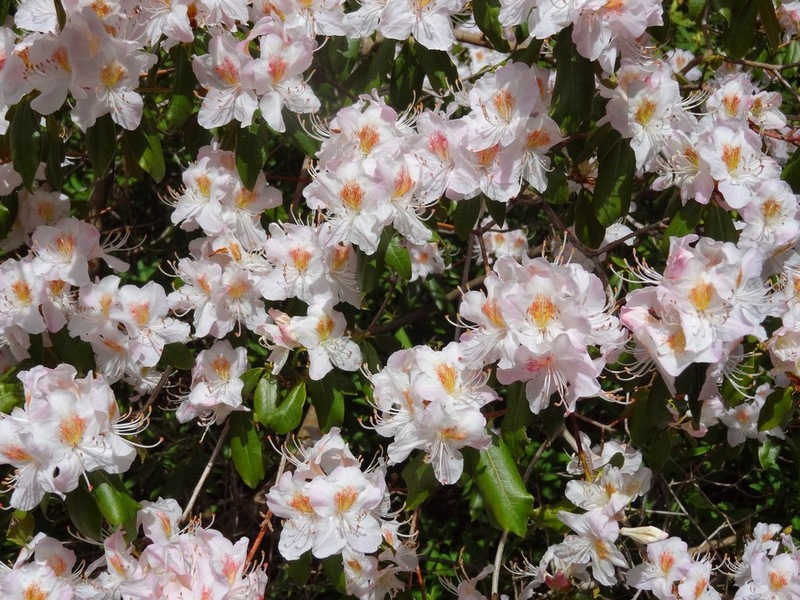 There's no shortage of Rhododendrons at the Species Garden, of course, and many were in flower. I like to visit the conservatory first, where many non-hardy species are housed. R. boothii has always attracted me with its leaves, as they start out chocolate-red before turning to olive-green. But I have never seen it bloom. R. himantodes displays a cute flower with back-side freckles. It is in the subgenus – known as subg. 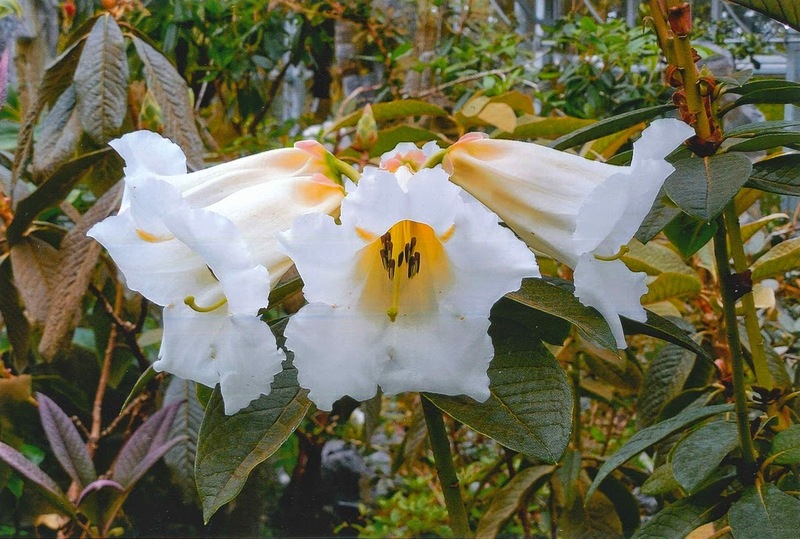 – of Rhododendron called Vireya, and these tropicals range from Taiwan to Australia. Carl Ludwig Blume was a twenty-two-year-old medical doctor from Germany, and in 1818 he arrived on the island of Java. 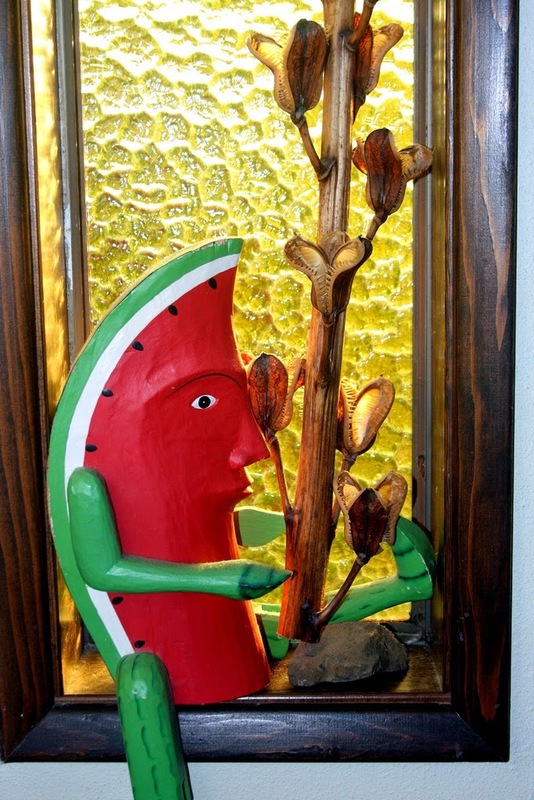 His purpose was to learn about native medicines, so he took up the study of botany. 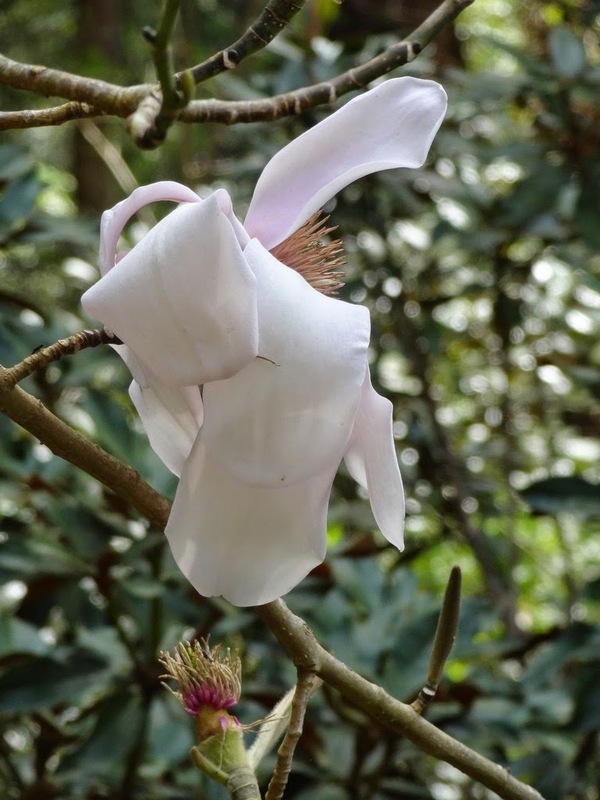 In his writings about the flora, Blume proposed a new genus Viraya to honor his friend, the pharmacist Julien-Joseph Virey, who was also describing various species. 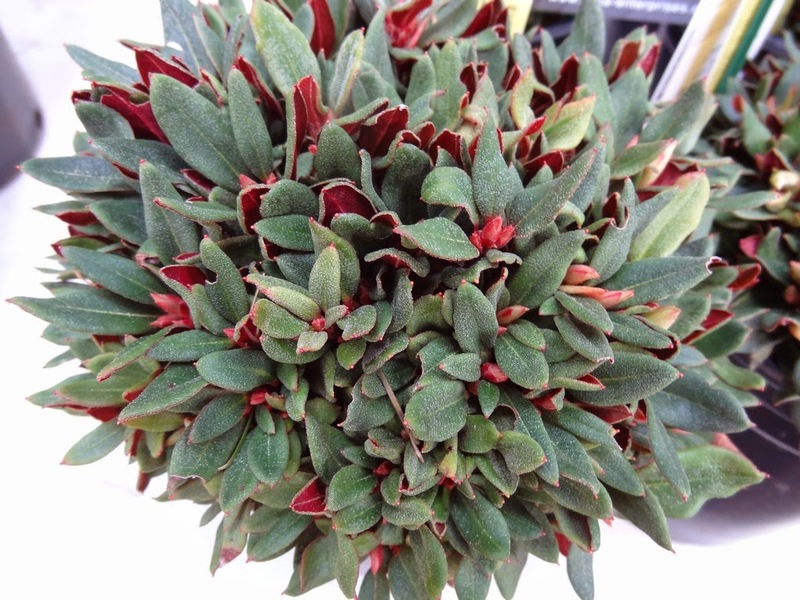 Also growing inside is the intriguing Rhododendron taxifolium, a wimpy little shrub with thin conifer-like leaves. It is a recent introduction from one single mountaintop on the island of Luzon in the Philippines. 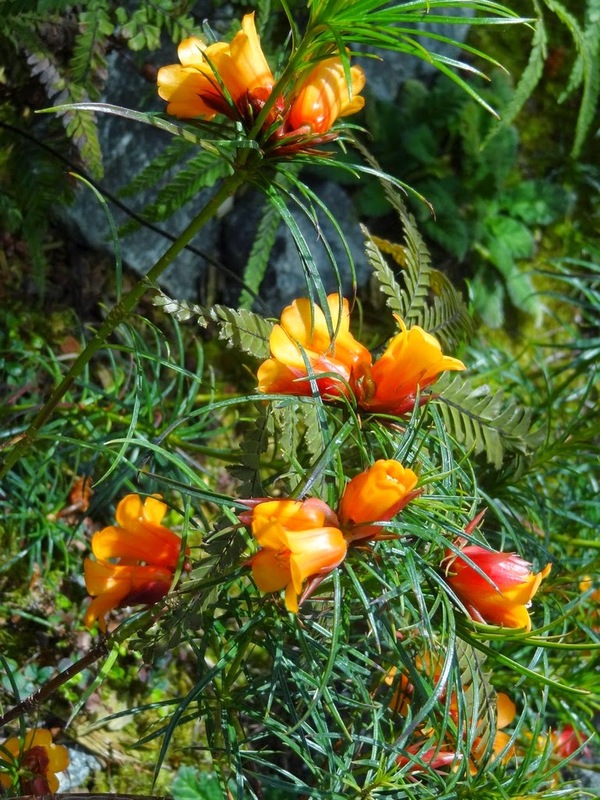 The Species Garden website shows blossoms of cream-white, but all flowers that I saw today were distinctly orange. What gives? 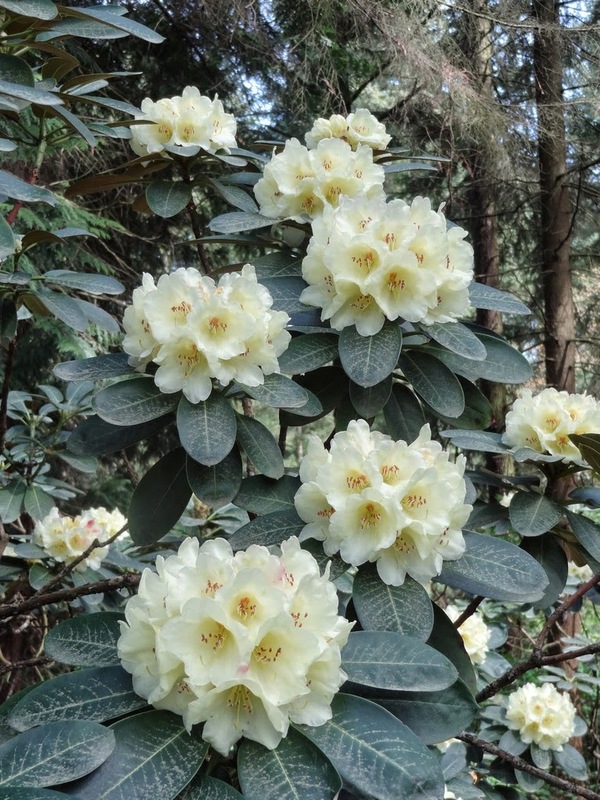 Rhododendron nuttallii has been in cultivation since 1852. Fragrant cream blossom-tubes feature a warm yellow-orange in the throat. 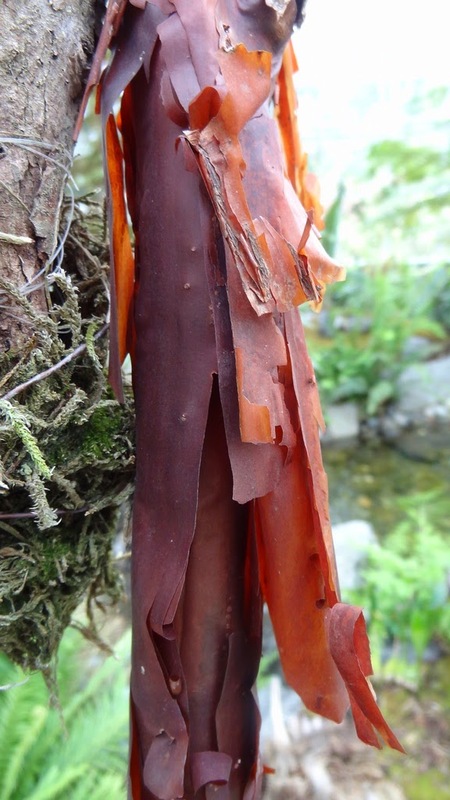 The best part of R. nuttallii is the exfoliating copper-brown bark, and a branch could pass as belonging to Acer griseum. 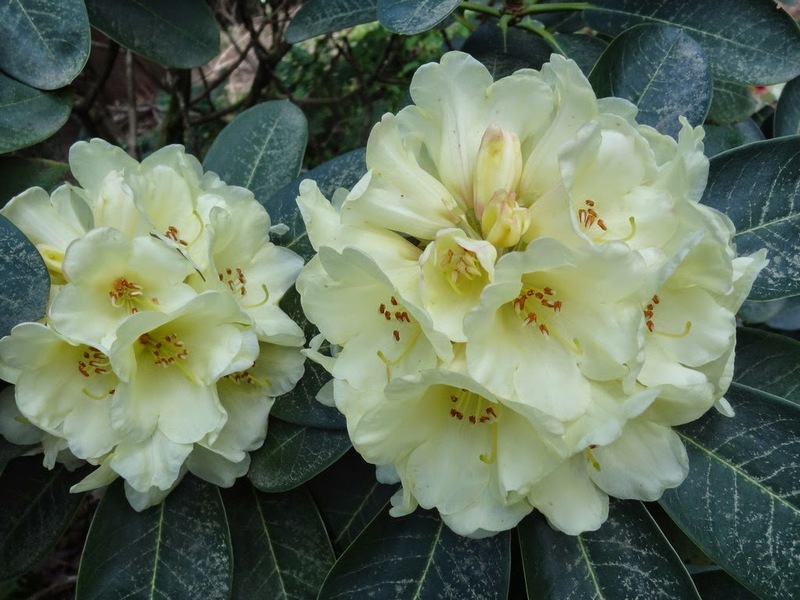 Those familiar with my horticultural limits know that I'm only a novice Rhododendron enthusiast, but with each year I learn a little more about them, and consequently appreciate them more. 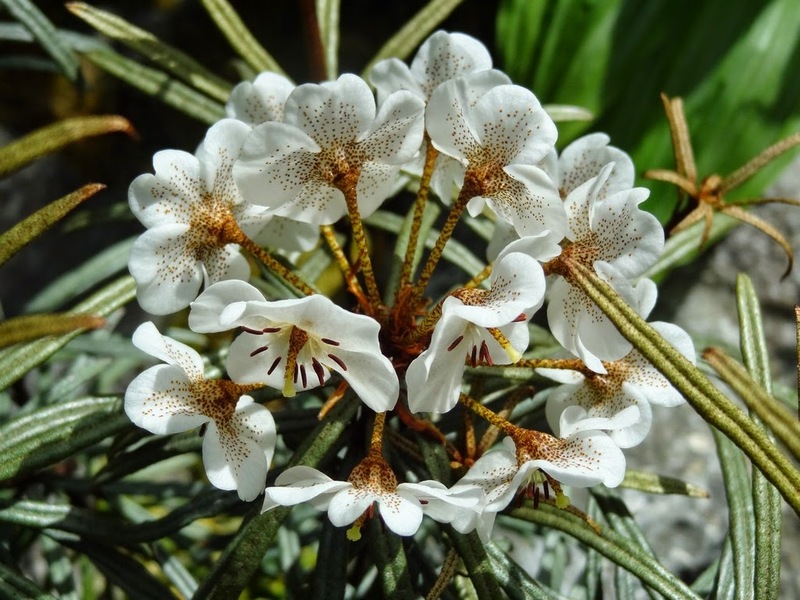 R. nuttallii is from Bhutan, India, northwest Yunnan and southeast Tibet, and I previously assumed that the latter two locales are the source of R. sinonuttallii, but the plant photographed above is from a recent acquisition from Vietnam. Thomas Jonas Booth (as in R. boothii) collected in the Assam-Bhutan area, and he named R. nuttallii for his uncle, Thomas Nuttall. Nuttall (1786-1859) was an Englishman, but he spent many years collecting in America, and is honored with our "West Coast Dogwood," Cornus nuttallii. 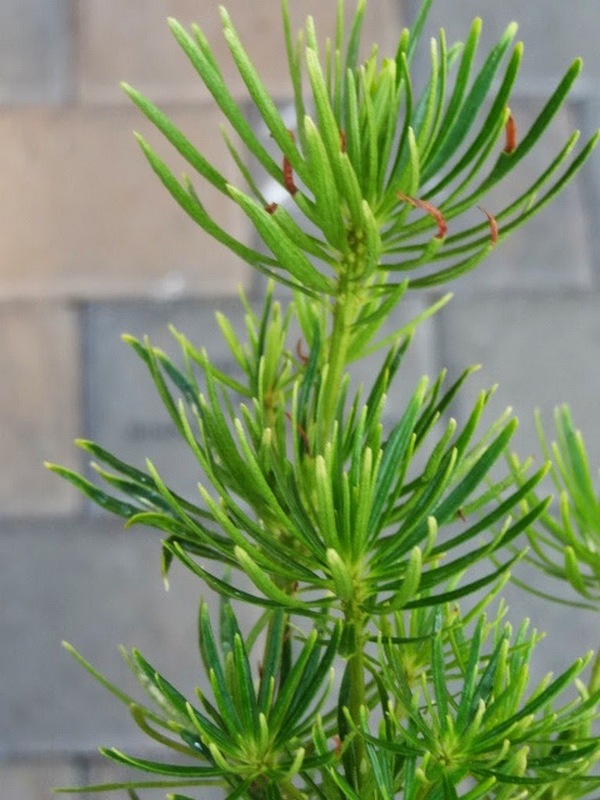 From the Oregon History Project I learned that Nuttall was considered crazy by Pacific Fir Company traders – and by the way, his botanical signature is nutt. Crazy, because dirt was found in the barrel of his gun (in 1811), for he had been digging plants with it. He was a most consummate botanist. 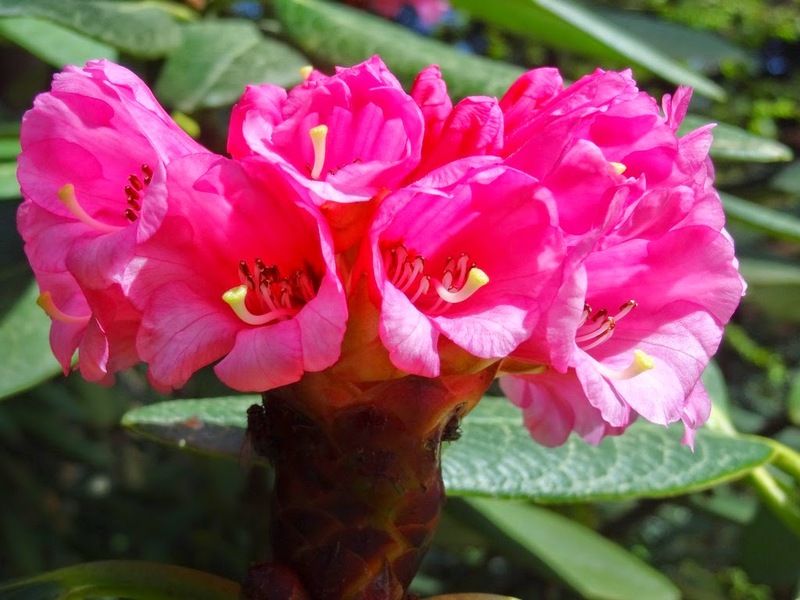 Out of the conservatory, and into the garden I saw many Rhododendron species in bloom. 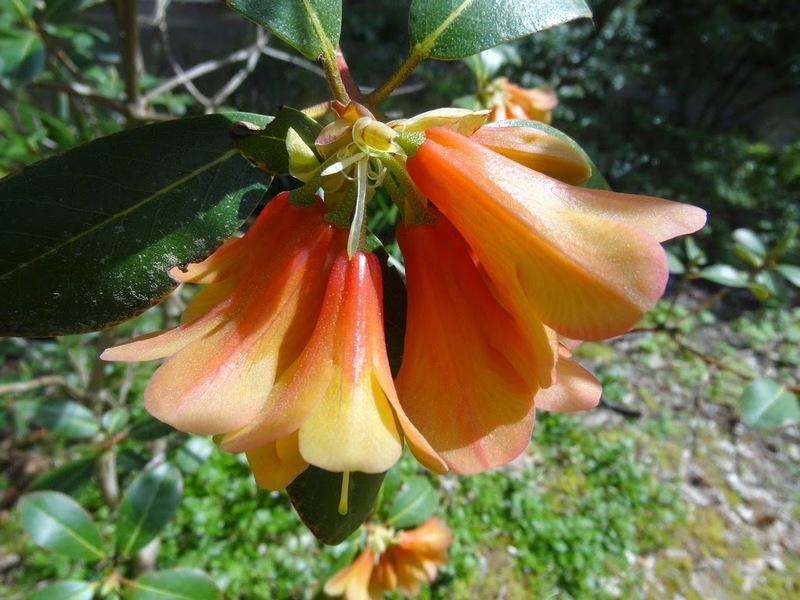 For fear of indulging the reader excessively, I'll just mention a few: Rhododendrons barbatum, campylogynum myrtilloides (for myrtle-like foliage), cinnabarinum ssp. xanthocodon 'Copper', kesangiae (from a Flora Wonder Blog a month ago) and lacteum. The strong spring sun appeared long enough to illuminate a brilliant R. keiskei as I was making my tired way up to the exit. I couldn't pass on a R. pseudochrysanthum 'Brigg's Variety' in the sales area, a miniature version of a species I already possess. I admire and thank Steve Hootman, Species Garden Director and his attractive staff for a fantastic and educational day. I suspect that on some days their jobs can seem most tiresome and endless, but I admire their energy and accomplishments.